Saleh Mahmoud Laila was killed in Syria on Thursday, after a suicide bomber, believed to be affiliated with ISIS, blew up a car-bomb in Aleppo province. More than twenty others were reportedly killed in the attack. When I heard the news, I was devastated. Saleh had been my eyes and my ears when I reported from Syria. He had helped me understand the country. And — ever brave and ever caring — he had been my friend. By now, four years into the war in Syria, it’s become an all-too regular occurrence in Syrian circles to see your Facebook feed light up with tributes to martyrs. 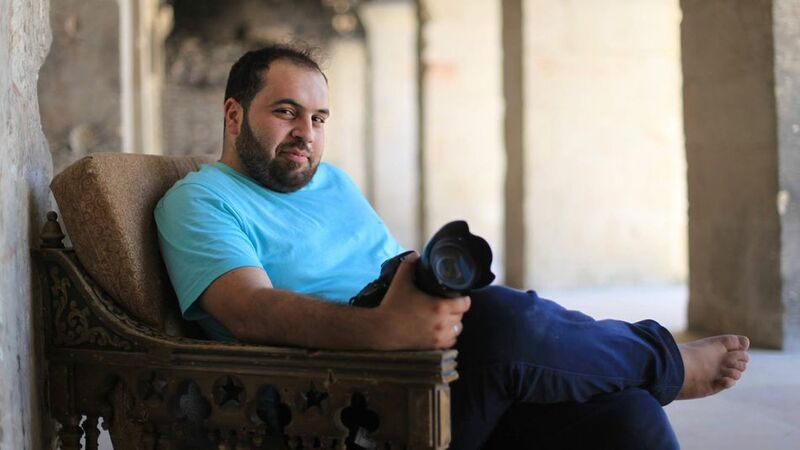 Saleh is just the latest journalist to be killed in Syria -– one of the deadliest countries in the world to work as a journalist. Saleh, whose wife was expecting a baby, was decent and kind, a friend to hundreds. His own Facebook page is now swamped with hundreds of tributes from politicians, journalists, friends and colleagues — a testament to the incredible impact he had on people through his work, his friendship and his personality. 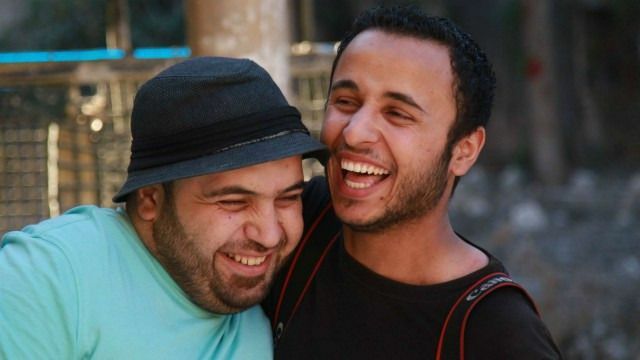 Saleh with Palestinian photographer Ahmed Deeb while working in Syria. 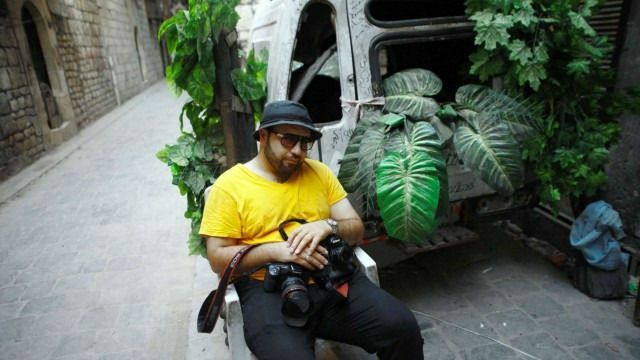 Getting his start as an activist, Saleh was working for the Anadolu Agency as a photographer at the time of his death. Committed to telling the stories of Syria, long after most had decided it was no longer possible, he’d be there, the sharpest-dressed man on the front lines, snapping away. But if someone was injured, he’d be there too –- one hand on the shutter, one hand helping. Saleh always looked after me when I went to Syria. 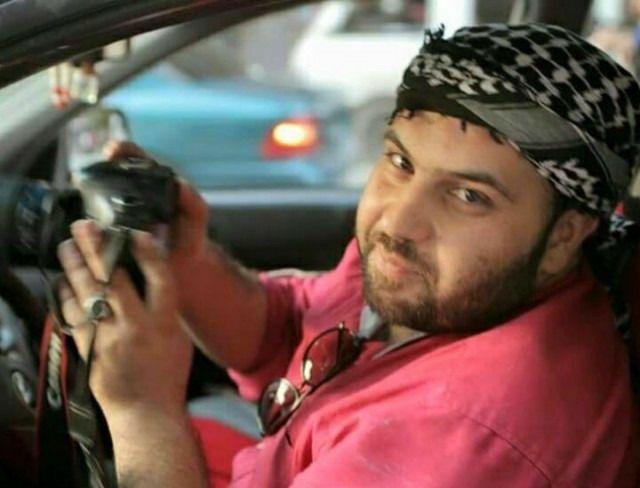 He’d collect me from the border and drive me at breakneck speeds through the countryside to his family home or other safe houses in and around Aleppo. He’d help me get access to difficult stories, feed me, and ferry me around, despite my disparaging comments about his driving. He took my safety seriously. He did the same for other journalists, both foreign and Syrian, despite being a journalist himself. Much of the best reporting from northern Syria in the last year or two has had Saleh’s guiding hand in it. Saleh made those around him instantly comfortable with his cheeky smile, navigating relationships with a huge range of people. He commanded respect from senior military leaders as well as journalists in Syria and beyond, and regular people — especially children, who never seemed far from his side when he was in the field. Despite being constantly surrounded by tragedy and violence, he was always smiling and laughing, making those around him laugh, too. For Saleh, the idea that a fruit and the people of a country could share the name ‘kiwi’ was terrifically funny and he’d send me photos of kiwi fruits whenever he encountered them. I caught him recording one of my many laughing fits on his mobile phone so he could play it back to me later. Even in the dark depths of war, he never forgot how to be human. A few months ago, Saleh was badly burned while out reporting. He was treated in Turkey and got back to work as soon as he could. He was courageous but he was also deeply committed to his people and his country, and to telling the stories that were unfolding around him, making sure Syria wasn’t forgotten. I always felt safe when Saleh was around and, after his close brush with death, that perhaps he was somehow invincible. Sadly, I was wrong. The loss of Saleh is a huge one –- not just to me personally and to his family, colleagues and many friends. It is a loss to Syria. But his legacy will live on in the memories of those whose lives he touched, and in the future of his unborn child. Keep smiling Saleh. We will miss you. Emma Beals is a freelance journalist who has been covering the conflict in Syria since 2012. She is also a founding board member of the Frontline Freelance Register.